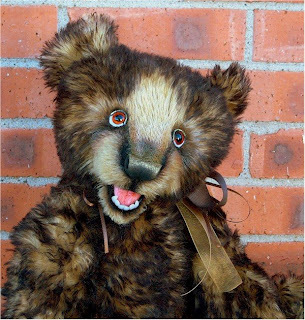 I have a darling bear named Chico who really needs a home to call his own. I used a new way with my needle felting to blend the leather nose in with the mohair. I think he looks very handsome.